It’s Jack Kirby’s 100th birthday. I note Jack Kirby’s 88th birthday by mentioning my brief meeting with him at an early 1990s comics convention. A jam drawing by Jack Kirby and a couple of other cartoonists of note. Kirby’s immortality would have been assured even if he’d only invented this. Black Racer – still awesome. The fighting philosophy of the Black Panther (parts one and two). I mark Kirby’s 92nd birthday with this cover to The Comic Reader #100. The office adventures of Darkseid. A hard to find display piece for one of Kirby’s projects. Klarion the Witch Boy and his gender-switching cat. Never, ever fails to make me laugh. My pal Cully meets Jack and gets a Captain America sketch. There were a handful of Swamp Thing/Jack Kirby tie-ins, of course, but this is my favorite one, and the creepiest! Another Kirby birthday post, featuring Destroyer Duck! 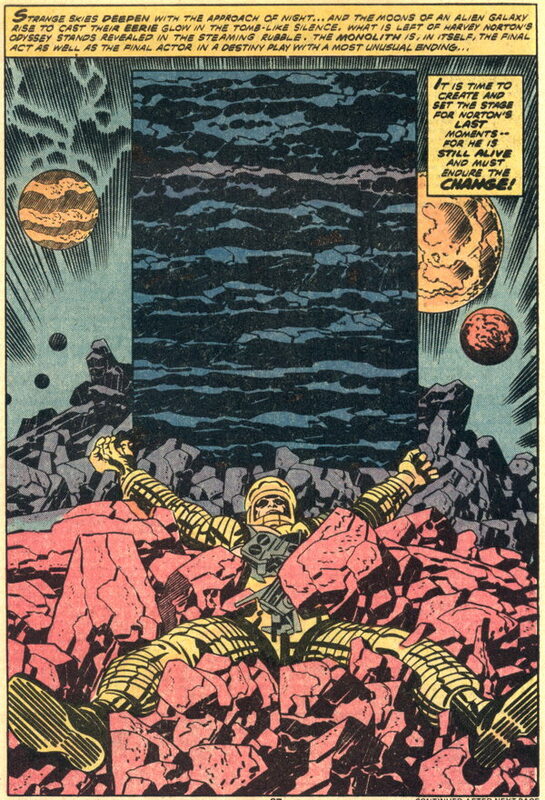 Probably my favorite Jack Kirby creation that I’ve only heard about and never have actually seen. …And, the pièce de résistance…every appearance of the sound effect “POW!” in Kirby’s New Gods . Kirby, the gift that keeps on giving. The more you delve into his work, the more you get to discover. Happy birthday Jack!